In the last Indie Series Network and Serial Scoop "Web Series of the Week" (#WSOTW) poll, Proper Manors was voted favorite indie series for the week. It's now time to catch up on latest episodes and vote for your favorite series in this week's poll. You can also cast a vote for your favorite actor, actress and web series couple/duo. Voting ends Wednesday, August 5 at 4 p.m. ET (one vote per person per day). 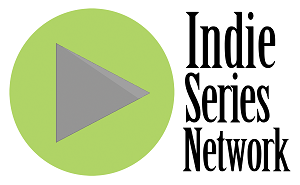 Web series that aired one or more new episodes from July 25-31, 2015 are eligible. If a web series aired this week and is not on the list, cast your vote as "Other" and write in the name of the show. - 848 Episode 9 "Vengeance"
- Between the Sidewalk and the Street Episodes 4 "Branding" & 5 "Greta"
- Break a Hip Episode 6 "The Class"
- Carmilla Season 2 Episodes 17 "The Great Debate Prep" & 18 "Coup De Grace"
- Classic Alice Episodes 69 "Geometry in the Hum" & 70 "Confessional: Andrew"
- Flying High with Charlie Episode 3 "The Ugly One"
- From Mansfield With Love No.68 "To Club or not to Club?" & No.69 "Sounding Board"
- How I Seize It Episode 172 "Anti-Vaxxers"
- The Misselthwaite Archives Episode 35 "Eye of the Tiger"
- Preflight Launch Season 2 Episode 2 "Extremes, Part One"
- The Realm Path 4 "Seeds"
- Sixteen Unsweetened Episode 8 "Dancing Around the Issues"
- Transitions Episode 6 "Russian Roulette"
Preflight Launch is AMAZING!!! #TeamGradyNBerentia!! !